Expanded streamline installment agreement for individuals owing over $25,000 in tax debt to the IRS. Allowing for the withdrawal of a Federal Tax Lien if the tax debt is paid through a Direct Debit Installment Agreement, and the tax balance is under $25,000. 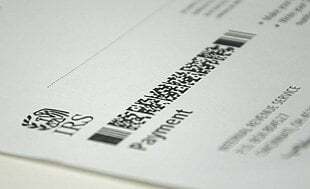 Businesses that owe $25,000 or less in payroll taxes and have filed all required returns may obtain a installment agreement without having to supply the IRS with financial information. Expanded the streamlined Offer in Compromise program to cover more taxpayers. Revised how the OIC is calculated. Allows the taxpayer to use expenses that previously the taxpayer could not claim as a reasonable and necessary living expense. Allows the taxpayer to exclude income producing assets in calculating the amount of an Offer in Compromise. To determine if you may be eligible for the IRS Fresh Start Initiative, please call our office at 1-877-829-2455 to schedule a initial consultation.